Ott Wassersport Antonius Ott e.K. 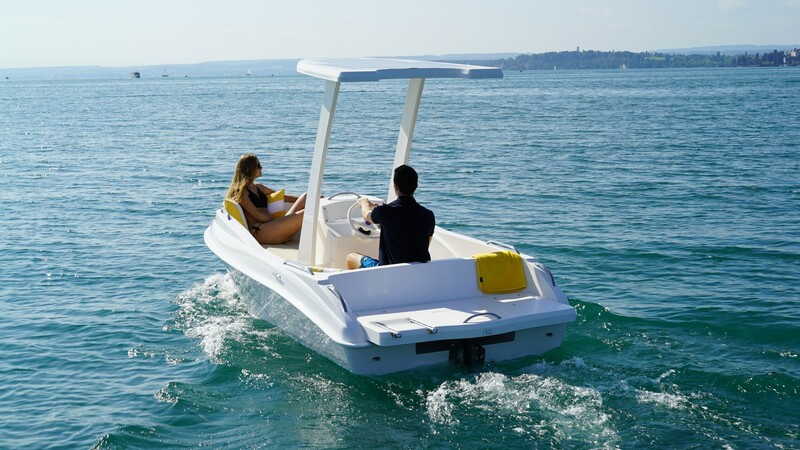 Small, easily trailerable, license-free electric leisure boat, 4,70m long, electric engine 2.0 KW, 180AH battery capacity and a fixed solar roof for charging. The boat is characterized by its low weight, the bathing platform, a comfortable sunbed area and easy handling. Ideal for all waters where internal combustion engines are forbidden. Driver license free street weight with trailer of 600kg.